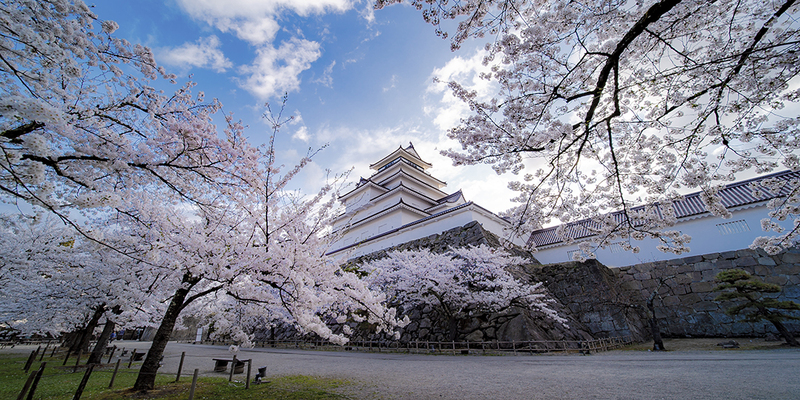 The Inami district in Toyama prefecture is known as the best wood carving town in Japan. 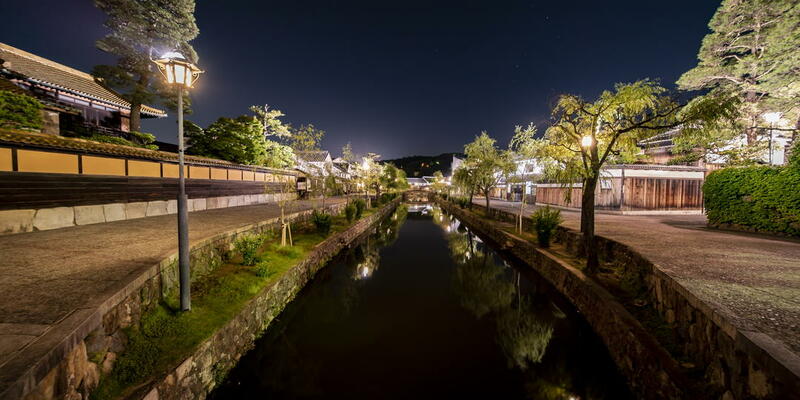 It was prospered as a monzen-machi of the old temple, Zuisenji, which is said to be the birthplace of Inami wood carving, and workshops of Inami wood carving stand in a row along Yokamachi street which still extends from Zuisenji. 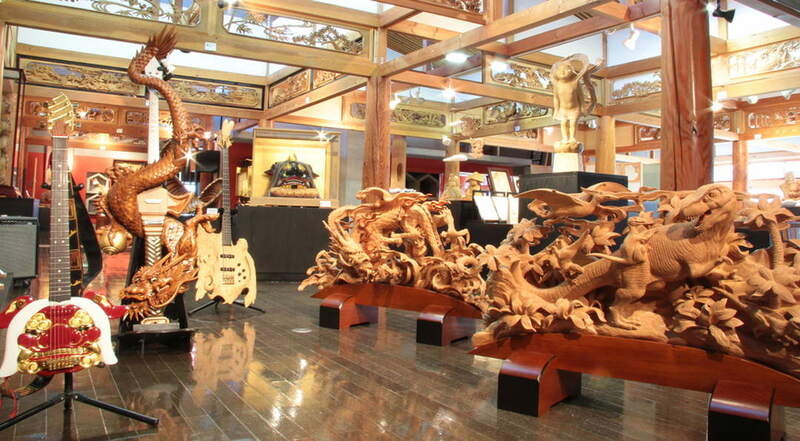 Wood carving works produced with traditional techniques which last over 250 years are three-dimensional and dynamic. This time I will introduce gems of Inami wood carving. 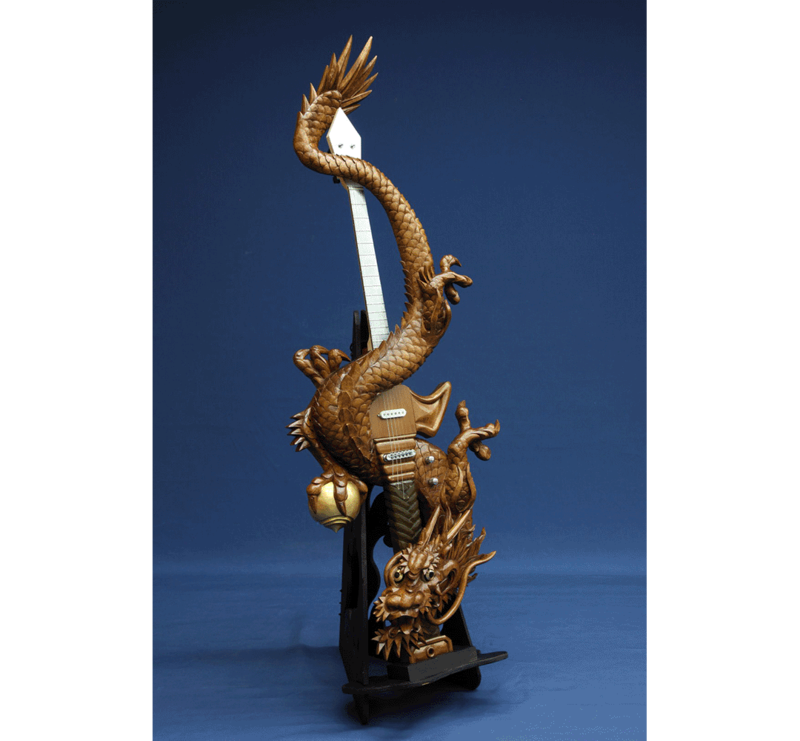 Artful wood carving guitar with dragons winding around, "dragon sword"
Wood carving guitar which is a fusion of the culture of east and west by using traditional wood carving and electric guitar as materials. A dragon made with a skilled wood carving technique winds around the guitar. The novel and bold design is sure to look great on the stage. Showing its presence as an interior, it is a very heavy work weighing about 8 kg. There are motifs such as lions, moons, birds in addition to dragon, and the prices change depending on designs and materials. 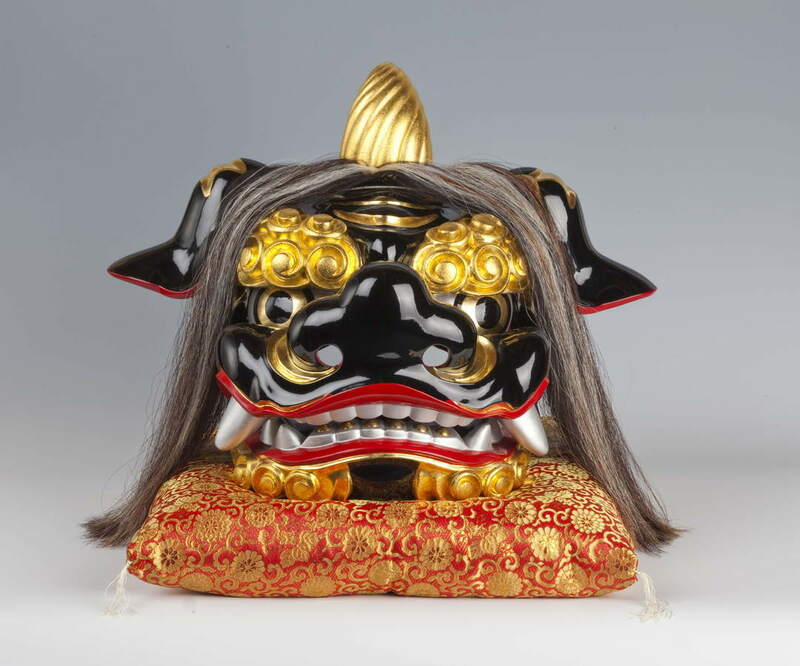 The lion head known for Shishimai has been popular among Japanese people as a good-luck charm and an ornament to ward off evil since ancient times. To lighten the weight, it is made of paulownia, light Japanese wood, and the surface is carefully lacquered. The powerful look and brilliant gloss of lacquer make you feel the quintessence of Japanese ancient traditional crafts. 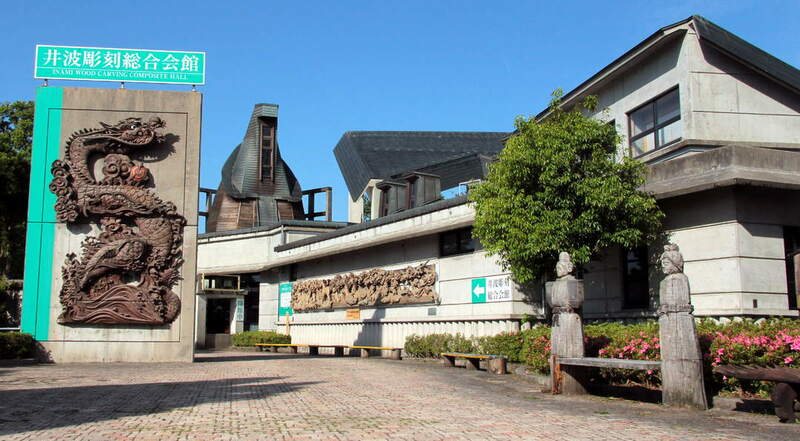 Inami wood carving is represented by a lot of wooden images with motif of Tenjin-sama (Sugawara Michizane). 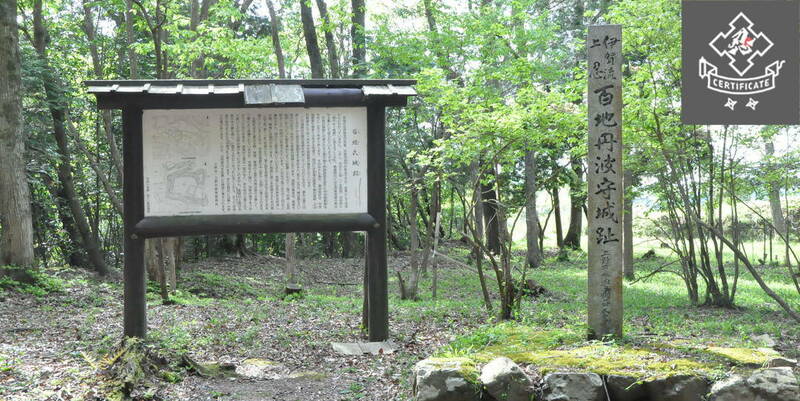 Mr. Maeda, who was a lord of three domains of Kaga, Ecchu and Noto during the feudal government period, is said to be a descendant of Sugawara Michizane. 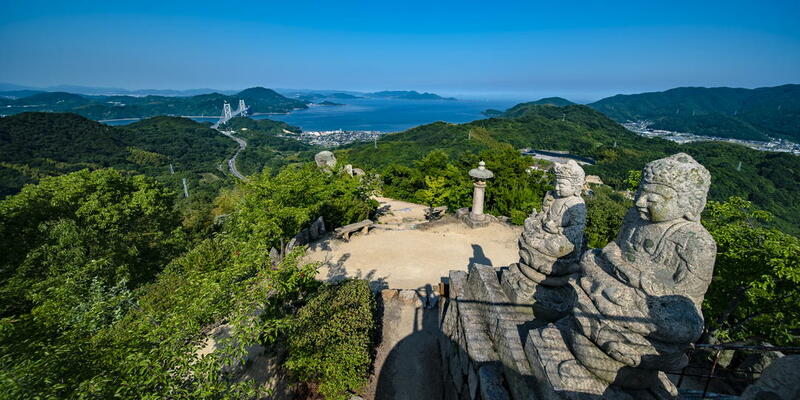 Sugawara Michizane is also a god of learning and Tenjin-sama is a typical gift for a birth of a grandchild in Hokuriku. For Inami wood carving originating from the shrine and temples sculpture, sophisticated techniques with a lot of points to see are used for all over the sculptures of the Ranma between the ceiling and the Kamoi. The Ranma using "Karyobinga" as a motif, whose upper body is a human and the lower body is a bird, beautifully expresses the gentle loving look of the angels with the skilled master craftsmanship. 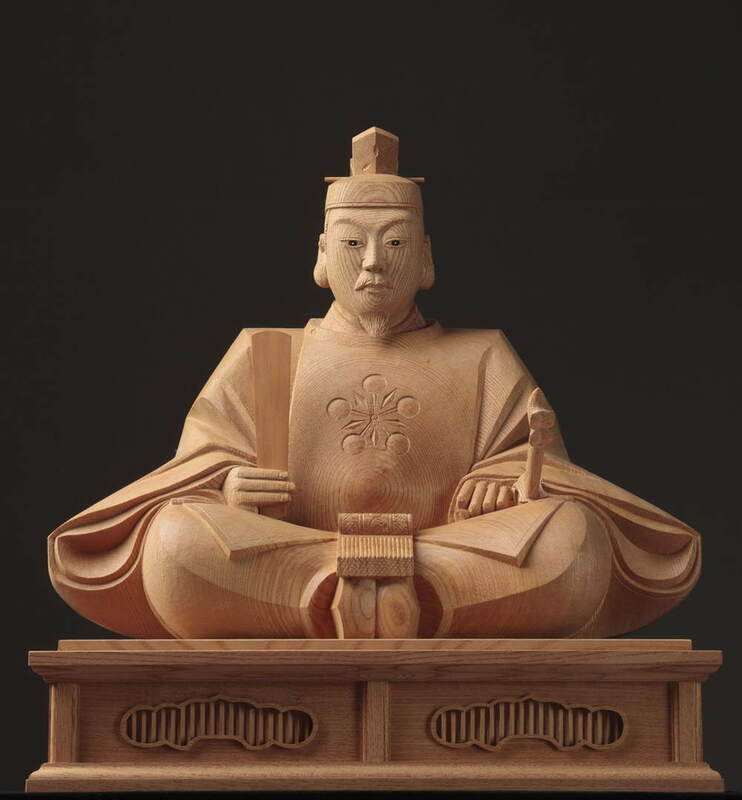 Sculpture of Ranma in the interior of the building greatly enhances the formality of the Japanese style room. "Watermark carving" is applied from both sides, providing an elaborate finish with the patterns on the one side being different from the ones on the other side. It represents manly pines on one side and graceful plums on the other side, and little birds are playing on the branch. 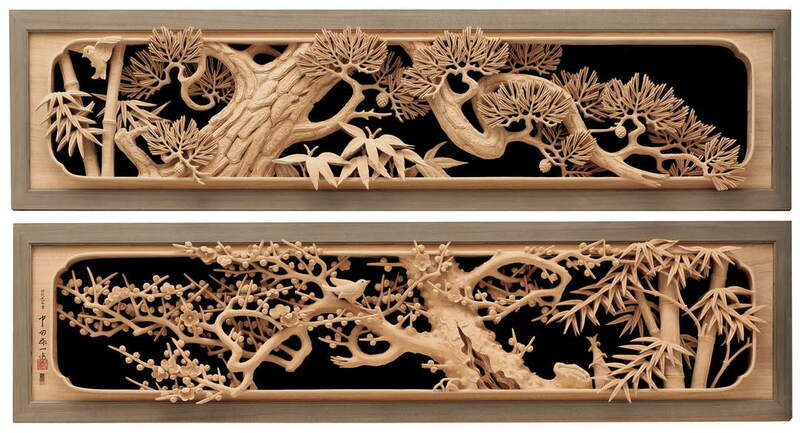 Three-dimensional expression is the true value of Inami wood carving. 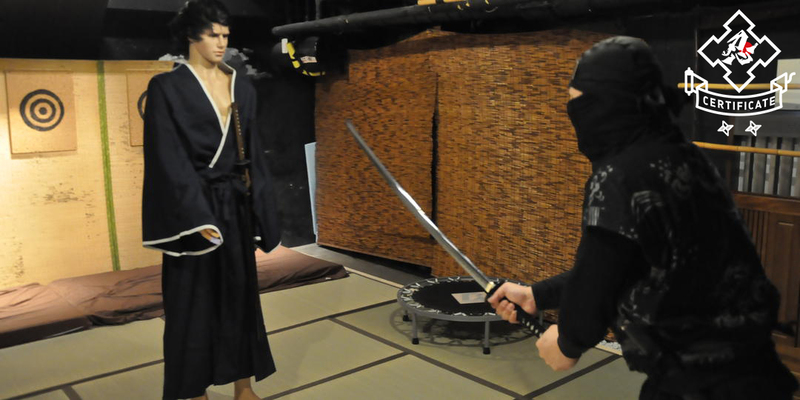 Jin is mainly used for the material.